Creative Faith : How to dodge that Pesky Demon of Doubt. Creative Faith : How to dodge that Pesky Demon of Doubt. 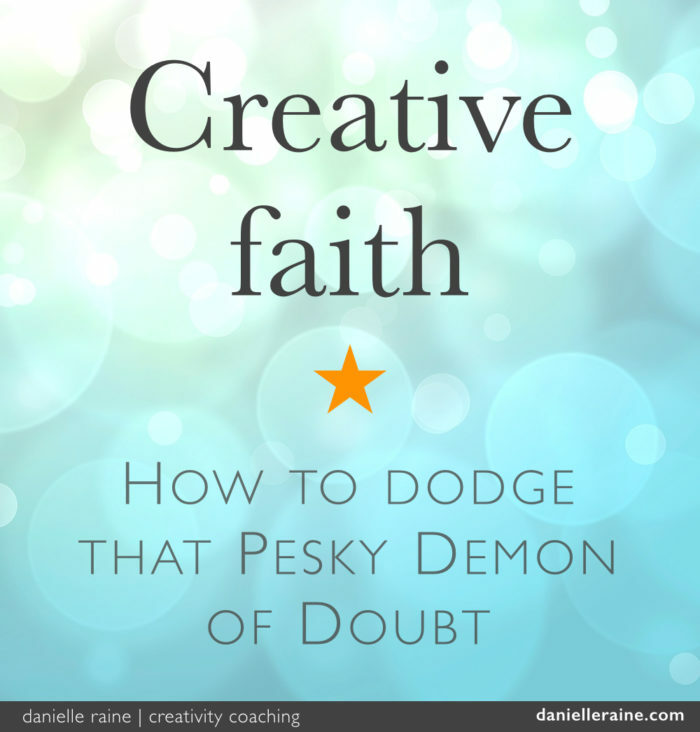 Creative Faith: How to Dodge that Pesky Demon of Doubt. I’m going to guess you answered yes, maybe even that question was a little out of the blue. So you know things can happen that you weren’t expecting, or could never have imagined in your wildest dreams. In fact, how often does anything ever go exactly according plan? This is the nature of life; unpredictable. 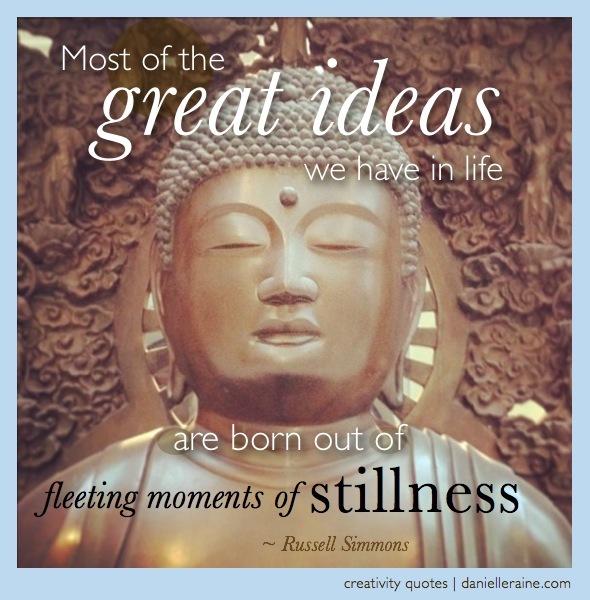 And unexpected twists and turns are also a feature of the creative process. In fact, they’re sometimes part of the fun. This is the realm of serendipity, strokes of luck and flashes of inspiration. So the uncertain and unpredictable nature of creativity can be a good thing; leading to happy accidents and pleasant surprises. We let fear of the unknown stop us in our creative tracks, scuppering our goals and dreams. Or we cling to the idea that we must know how things will happen before we allow ourselves to believe that they will. Admittedly, it’s much easier to believe in something if we can see a clear and smooth path to a successful outcome. But what if we can’t see a sure way, or we have no guarantee that things will work out as expected and make our precious efforts worthwhile? Faith is the powerful force that leads us to act in spite of uncertainty. It’s the key difference between those who keep striving towards their goals and dreams, and those who give up – or never even begin. Many of the world’s great creations, achievements, advances and successes only occurred because someone took a leap of faith. Whole belief systems have been built on the idea and power of faith – trusting and believing when there is no certainty or proof. It’s powerful stuff. Strong enough to move mountains. At least in creative terms, building and trusting faith can often be the hardest part of the creative process. To invest time, energy, passion, heart and soul into a project – with no guarantee that it will be worth it – that’s the risk of any new venture. There always comes a point where you just have to trust. And since this can be incredibly difficult, it can be a real stumbling block for many brilliant and talented creatives. So, given that faith is an inescapable part of the creative mix… are there any ways to make ‘keeping the faith’ a little bit easier? 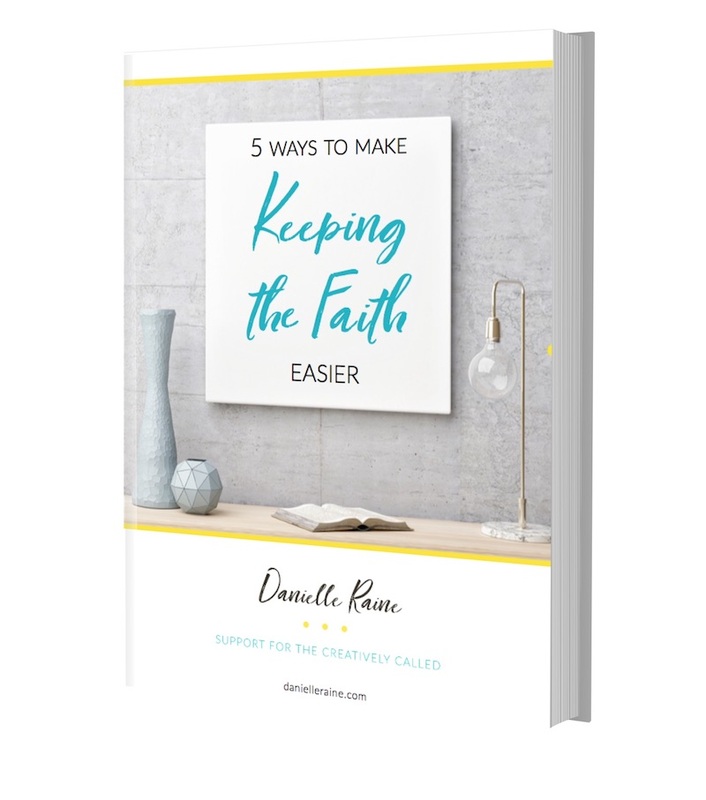 I’ve put together my top 5 favourites ways to make keeping the faith easier in a short ebook that you can access for free – just complete your details in the form below. 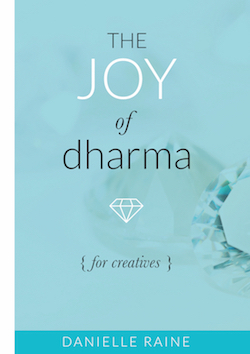 designed to uplift and inspire creative spirits. 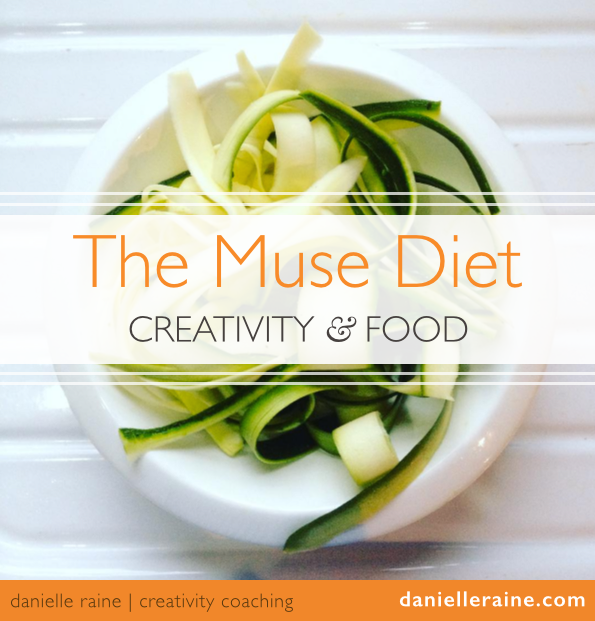 I hope you find these tips helpful in your creative adventures. Because I believe that when we strengthen our faith-muscles, an exciting world of possibility opens up to us. And I also believe that happy, confident, expressed creatives are a bright hope for the future of our planet. When we do the work that calls our heart and soul, everybody wins. 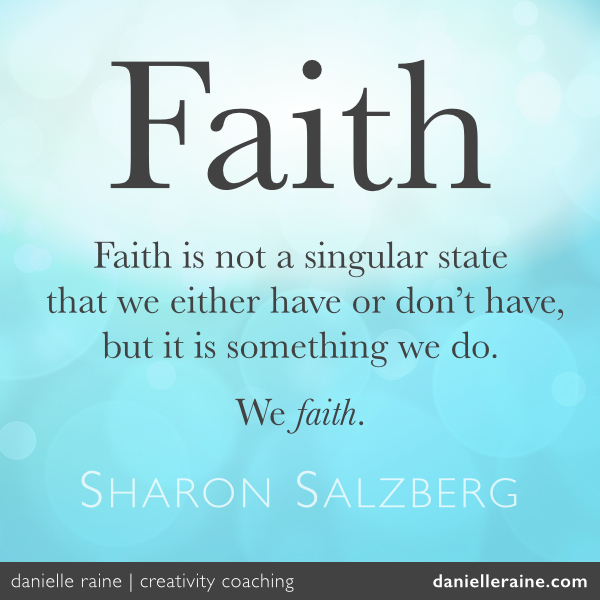 And strong faith-muscles are a powerful ally on any creative path. 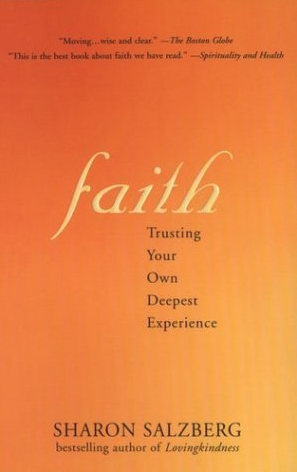 PS If you’re as fascinated as I am by this whole concept of faith, I highly recommend this beautiful book by Sharon Salzberg, which is the source of this week’s quote. 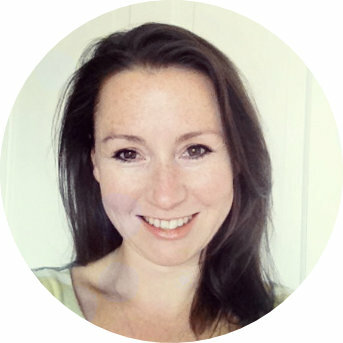 PPS If you would like some expert support and guidance in strengthening your intuition, boosting your confidence and relaxing into the flow of life, my new Muse Spa programme is designed to do precisely that. I’d love to support you in keeping the faith and making your creative dreams a reality. More details here, if this sounds like bliss for you. 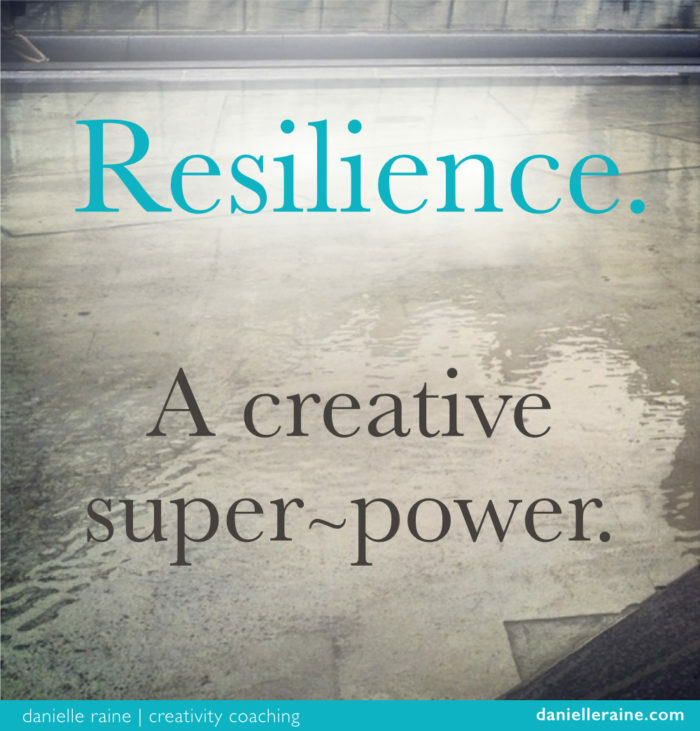 – and it’s a true creative superpower. 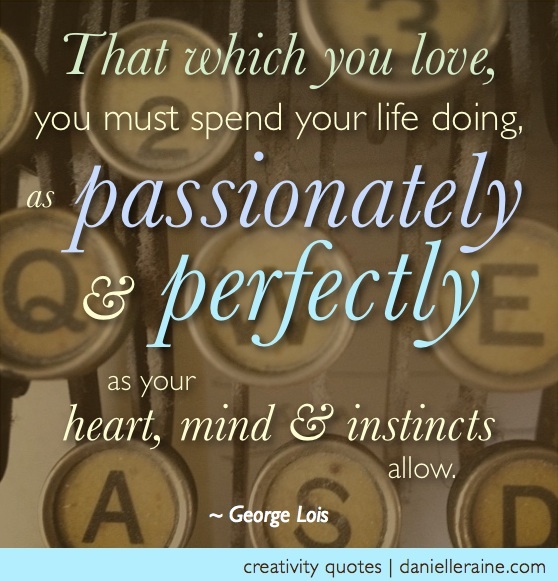 – enfant terrible of the advertising industry, George Lois. – Uncle Rush (aka Russell Simmons). 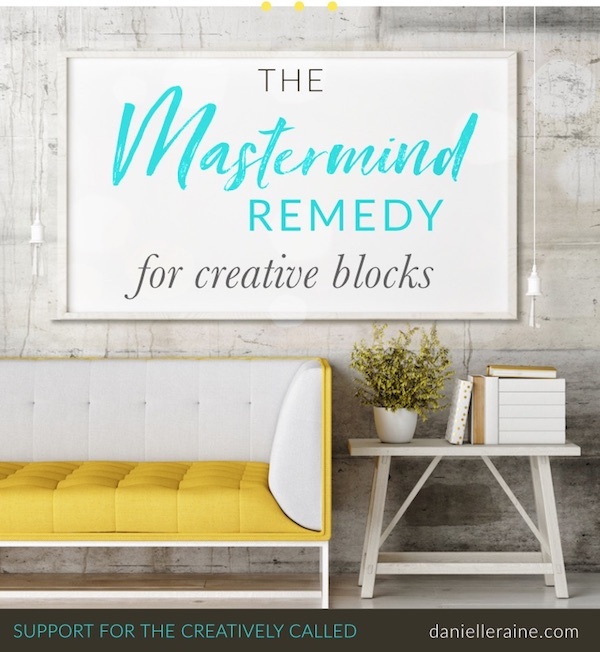 Take the quick quiz to identify your current creative block & signup to receive your free tailor-made Mastermind Remedy series.